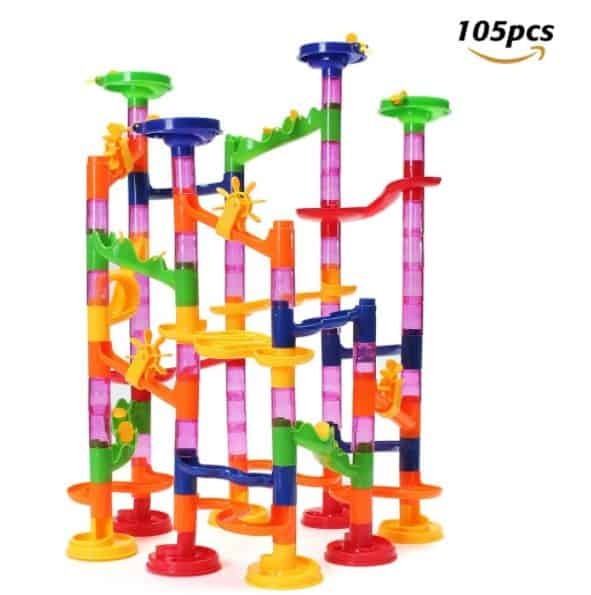 The FUNTOK 105pcs Marble Run is on sale for $16.98 at Amazon right now. That's 58% off the list price of $39.99! ✿ [Tips]: This toy contains some small parts and balls, need to be accompanied by an adult to use, should teach the child the correct use. So as to avoid eating and other unnecessary damage! The size of marbles using in this game are smaller than the regular ones, and the plastic pieces fit the marbles. Please pay attention and give understanding. If you have any question about the product, please free to contact us.